Hey everyone! 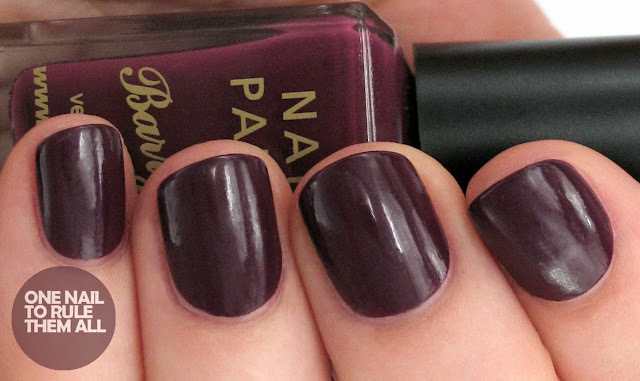 Today I'm back with the last of my Barry M Autumn/Winter 2013 reviews, this time with their new Berry Cosmo* polish, and the new Crystal Glaze topcoat*. These are now available in Superdrug, and will be available in Boots on the 2nd of October. The rest of the post will be after the jump! 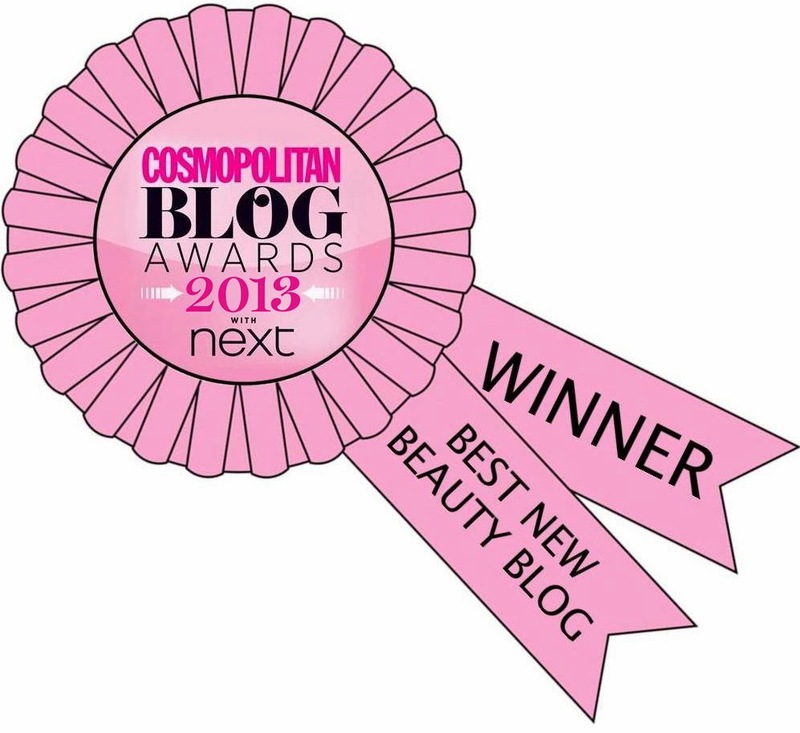 First up is a new addition to Barry M's original line of nail paints: Berry Cosmo. It's been quite a long time since we've seen any additions to the original line and it definitely doesn't disappoint. This gorgeous deep plum colour is absolutely perfect for Autumn. 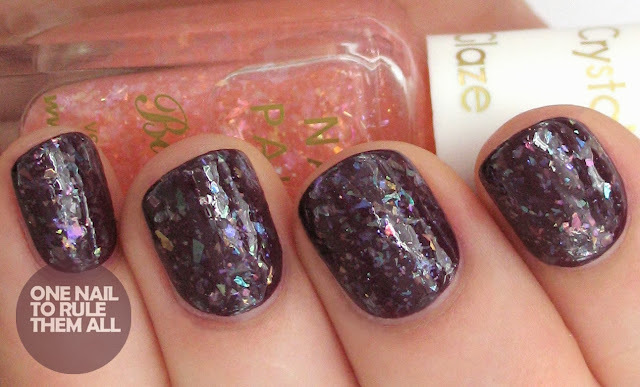 Next up, I applied Crystal Glaze topcoat to Berry Cosmo to create this gorgeous look. This polish is an amazing flakie polish which is truly amazing, and unique, I absolutely love how this looks with Berry Cosmo especially. This one incredibly easy coat, with no placement! I also chose to layer it over 2 coats of Nicole by OPI - Spring Break* to see how it looked over a lighter polish. Whilst it's not quite as bold as it is with Berry Cosmo, I still love the look! I like what you've done with this. I don't have any of the Barry M Crystal polishes yet but I reckon there's something similar in my collection. Love this shade for autumn. 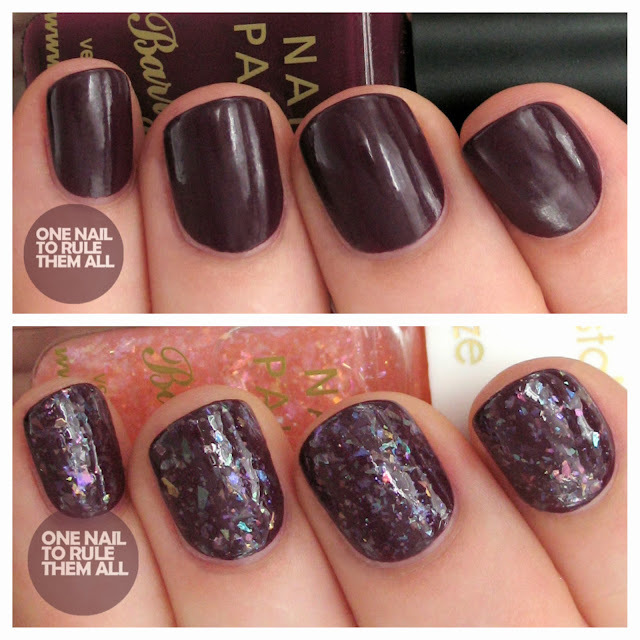 The plum nails with the crystal glaze look amazing, and look perfect for autumn! Looks so pretty over the pink! I love the crystal topcoat!